Party activists walk out after conference organizers refuse to allow questions about process of election of Labor leaders. Labor Party activists protest against chairman Avi Gabbai: party activists left a conference held in Ramat Gan after receiving no answers to difficult questions they asked Gabbay. According to the report, about 400 party activists participated in a conference held at the Yahalom Theater in Ramat Gan. Some of them protested the chairman's behavior and argued that it is not possible that candidates for the Knesset on behalf of the party will be elected through the chairman's surveys and promotions, and not through primaries, as was customary until now. The organizers of the conference did not allow the activists to ask these questions, and they felt that they were getting one of the microphones that had been moving through the audience. This angered the activists who abandoned the conference. Moshe Gabai, assistant mayor of Ramat Gan and a key activist in the Labor Party, told Channel 20: "I signed up a lot of people from the party to change and influence, not so that the chairman would choose our representatives through a poll. Another activist said, "The moment we understood that Segev was not going to listen to our claims, we preferred to leave the hall,. His behavior in the party was aggressive and we left the conference with very bad feelings." 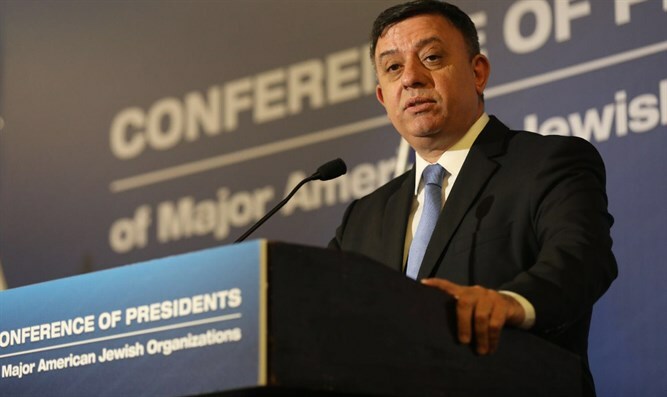 The Labor Party said in response: "We are pleased with the interest in the conferences of the Labor Party chairman and its candidate for prime minister, Avi Gabbay, and invite the general public to attend the following conferences throughout the country and join us in the struggle to replace the government."